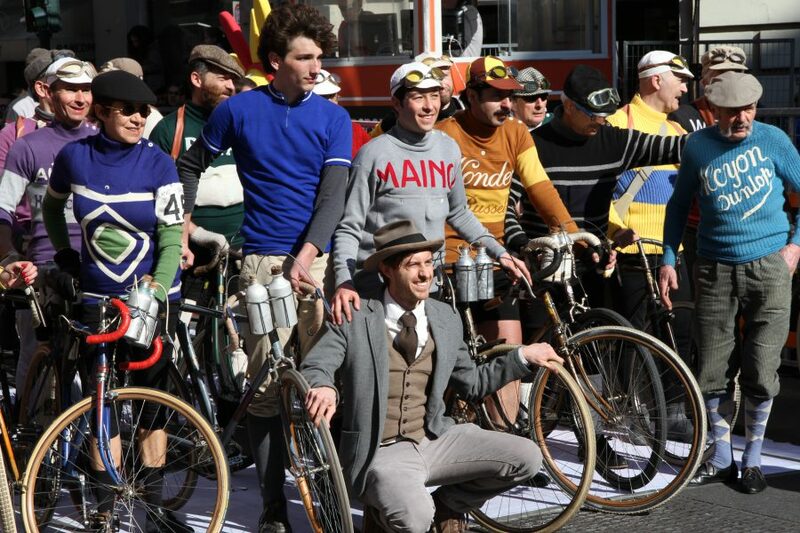 Racing in old kit and on old bikes is seemingly very popular in Italy. This group of cyclists were crossing posing at the finish line at this year’s Milan-San Remo which concludes just up the road from us. It’s the first Monument of the year and we really enjoy our day out in Italy, particularly if the weather’s fine. We generally head over for breakfast and a read of La Gazzetta, a stroll around town before lunch, then we settle down to watch the race unfold on the big screen on the via Roma. I’m not sure if any of these riders had actually ridden the entire route, I suspect they’d just rolled along the coast and into town to soak up the atmosphere. At almost 300km long and with all the hills coming in the latter part of the parcours, Milan San Remo is not a race for the faint-hearted and the outcome is notoriously difficult to predict. Having survived the climbs, it’s generally a limited bunch sprint to the finish on the via Roma. 2016’s edition was won by Frenchman Arnaud Demare (FDJ).